Evaluate: Assess every item and place each in one of three piles: keep, trash, or donate. Do you still love the item? If yes (and it still fits and you will wear it again), keep. Does the blouse color make you look washed out? Donate. Did your efforts to remove the stain out of those white pants fail? Trash! Clean: Once everything is out, thoroughly clean the whole area. This is your chance to get rid of every speck of dust. Launder: Unless the item was recently cleaned, wash it. If it’s still hanging in a dry cleaning bag, remove the plastic, which can trap moisture and cause stains. Select system: Preferences vary. Some people prefer to organize clothes by type (e.g., pants, blouses, sweaters). Others prefer to organize by occasion (e.g., athletic, casual, business). Many opt for seasonal organization; seasonality combined with frequency may be your best bet. Make hangers uniform: Matching non-wire hangers are a great choice. Using a variety of styles is less efficient and looks messy. Type and color may guide how you hang clothes. For example, blouses may be hung in groups by sleeve length and color. Vary rod/shelf levels: Vary the height at which rods and shelves are installed. If you need help, hire a handyman. The extra usable space is well worth the effort. Out-of-season items can either be folded and placed on high shelves or hung at the back in hard-to-reach spots. Dresses need higher rods, while skirts and pants need lower ones. Implement proper placement/folding: Remember to place heavier folded items on the bottom and the lighter ones on top. Make a home for accessories: Invest in some hooks, racks, or bins for storing belts, scarves, ties, and bags. Use plastic storage containers: Stackable ones work well, and unlike cardboard boxes, they don’t collapse. Containers are handy for storing out-of-season clothes. Make sure you get see-through ones so that it’s easy to see the contents. Give attention to miscellaneous items: If you need to store items like socks and pajamas in your closet, prevent chaos by using matching baskets or containers of your choice and designating one container for each item type. Contain shoes: There are a variety of options for nicely storing shoes. The best choice depends on the size of your closet. Consider a shoe rack on the floor, a hanging shoe organizer, and clear stackable plastic shoeboxes. Enlist help: If you’re finally motivated to undertake this project, don’t let frustration stop you. Ask a friend to help. If that’s not an option, have a professional organizer either guide you or take over completely if time is a problem. Every associate at Potomac Concierge is experienced and highly skilled in maximizing usable space and creating a closet that is aesthetically pleasing. 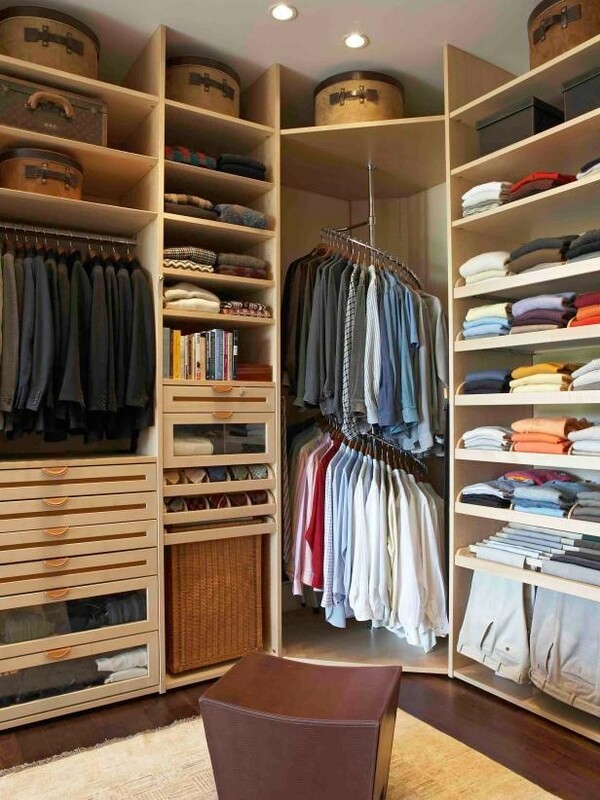 You’ll love your house even more once the closets are beautifully organized and everything is easy to find. Contact Potomac Concierge to create fantastic closets in your home. We guarantee increased happiness—and envy from your friends!